Hobson & Porter was proud to be at the forefront of the redevelopment of Wyke College, which saw the creation of a whole new sixth form campus in Bricknell Avenue, Hull. A total investment of £20 million saw the development of three new buildings. The Ash building, which opened first in 2008, houses science, art, humanities, information and communication technology, health and social care and modern foreign languages. In April 2010 the new Oak building was opened, completing the college’s £20 million redevelopment project. 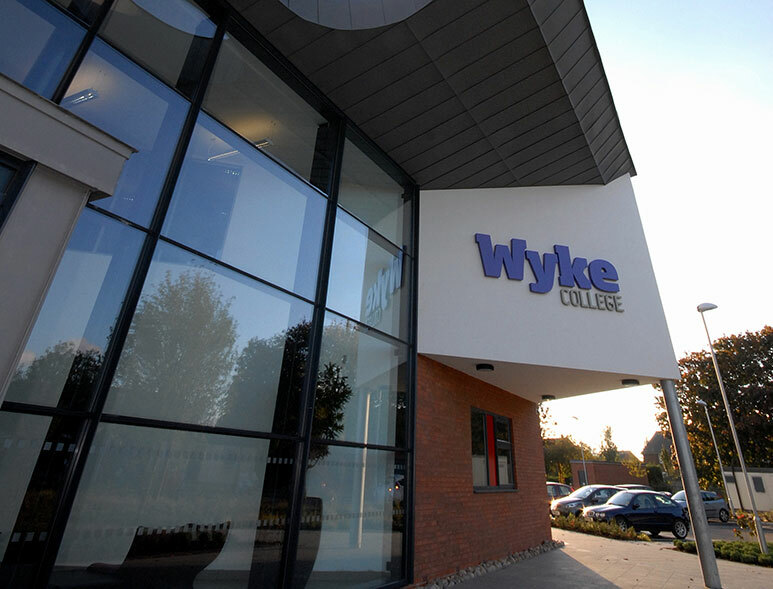 In November 2013, we built the fourth new building, Elm, which completed the transformation of Wyke College. There is an enormous Learning Resource Centre, allowing more students than ever to access both reading materials and on-line resources. The building provides excellent sports facilities, with a four badminton court sports hall. The contemporary theatre space accommodates Dance, Drama and Music performances. The Music department features a high tech recording studio and the Media department now benefits from video editing facilities, an apple mac suite and a visual effects green room. The Refectory and Coffee Bar provide a welcoming environment for students to socialise in. The landscaped area outside links all four buildings and provides an extensive social space.